The PNG World Taekwondo Federation has selected sixteen athletes to represent the country in the Pacific Games. The association hosted its championship on the 2nd of February, where top athletes were chosen for the compulsory sport of taekwondo. PNG’s taekwondo federation is confident in its athletes’ skills, as they were trained under the watchful eyes of three South Korean masters. Master Ha is an expert on taekwondo Pumsae, which generally involves a series of alternate offense and defense techniques. Master Kym is an expert on Kyorugi, which is sparring while Master Pak is a specialist in demonstrations. The trio with their translator spent a month with athletes, flying in to PNG on the 8th of January, and departing on the 5th of February. PNG World Taekwondo Federation president, John Cholai, said the training mainly focused on Kyorugi. “They’ve been training our athletes now for the last month, every day except Sundays, where they’ve been taking a bit of a break,” Cholai explained. Cholai said as part of their preparations for the Pacific Games, four top athletes will be travelling to South Korea on the 12th of March. “And also on the World Championships in Manchester in the United Kingdom. And then we also have the President’s Cup, the Australian President’s Cup at the Gold Coast in June, including the Korean Ambassador’s Cup, which is an annual event that we have in PNG, in Port Moresby. So all that will build on the athletes’ experience and we are looking forward to them actually doing a very good performance. 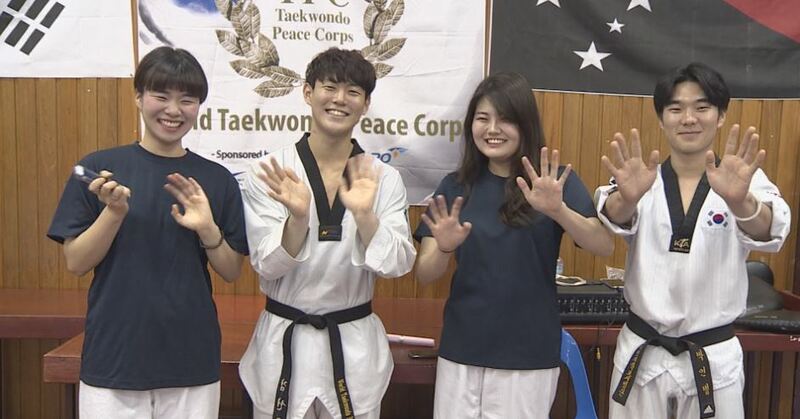 Cholai thanked the trainers, who are from the Taekwondo Peace Corporation of South Korea, for taking a giant leap of faith by coming to PNG, despite negative perceptions. “And I think their perception of the country now has changed completely and maybe they’ll come back later on with their grandchildren,” said Cholai. The trio hosted a demonstration at the Port Moresby International School on February 4th before departing the next day, saying they were blown away by the experience in PNG.